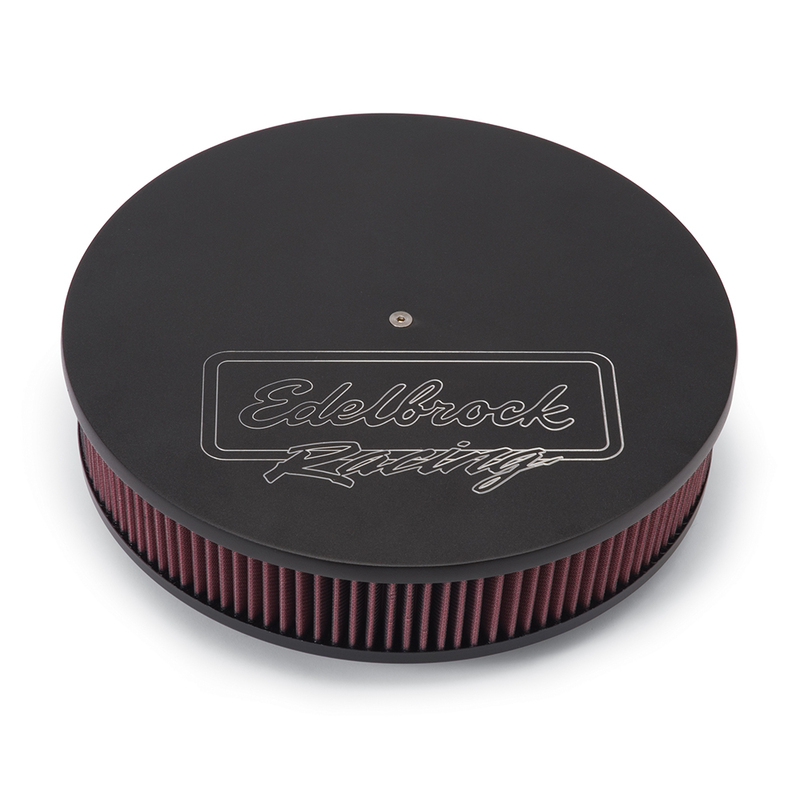 These new Racing Series accessories are the latest addition to the Edelbrock line of engine dress-up accessories. 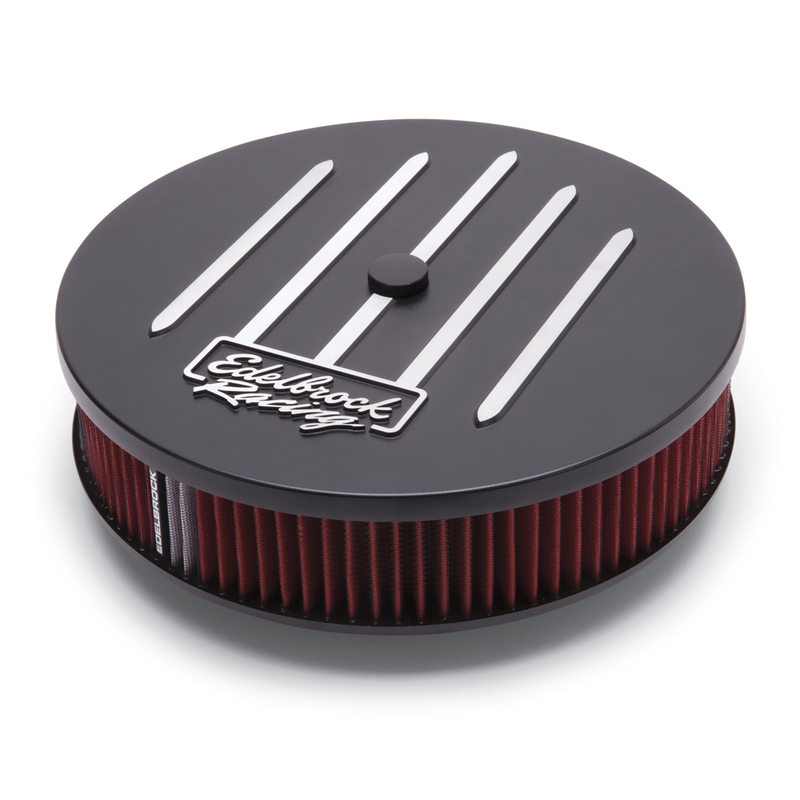 Made from heavy-gauge, die-cast aluminum, these valve covers feature a sleek flat black powder coated finish with diamond cut finish raised racing stripe and Edelbrock Racing logo. The modern high-tech look will give any engine an aggressive look to match it's performance. Racing Series air cleaners feature a Pro-Flo Universal Air Filter with the exclusive Pro-Charge™ clean strip for easy maintenance. Each filter is washable and reusable. 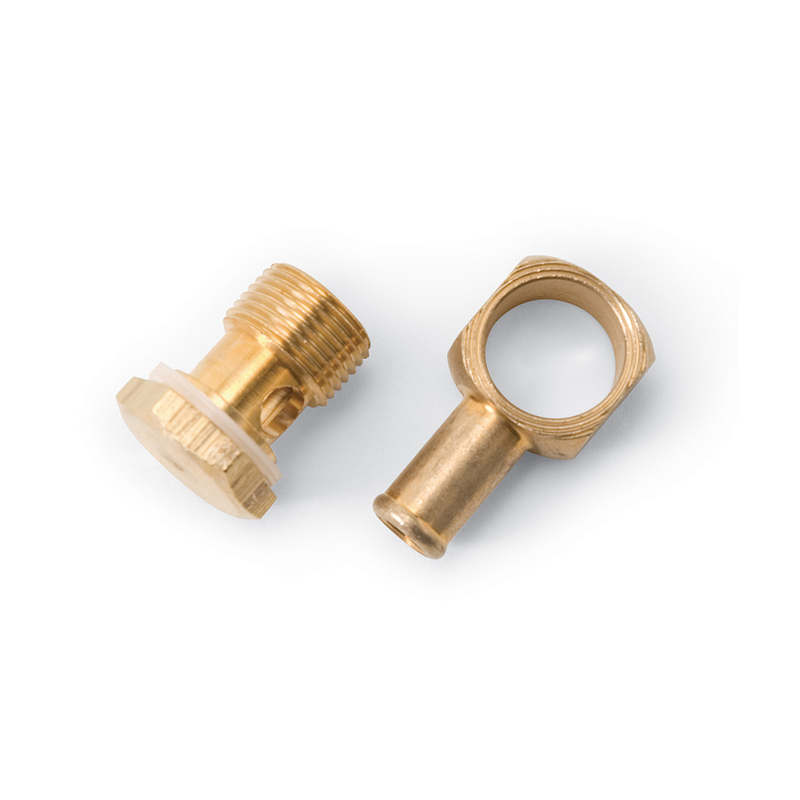 Fits all popular 5-1/8" diameter carburetors and includes a black nodized knurled nut. 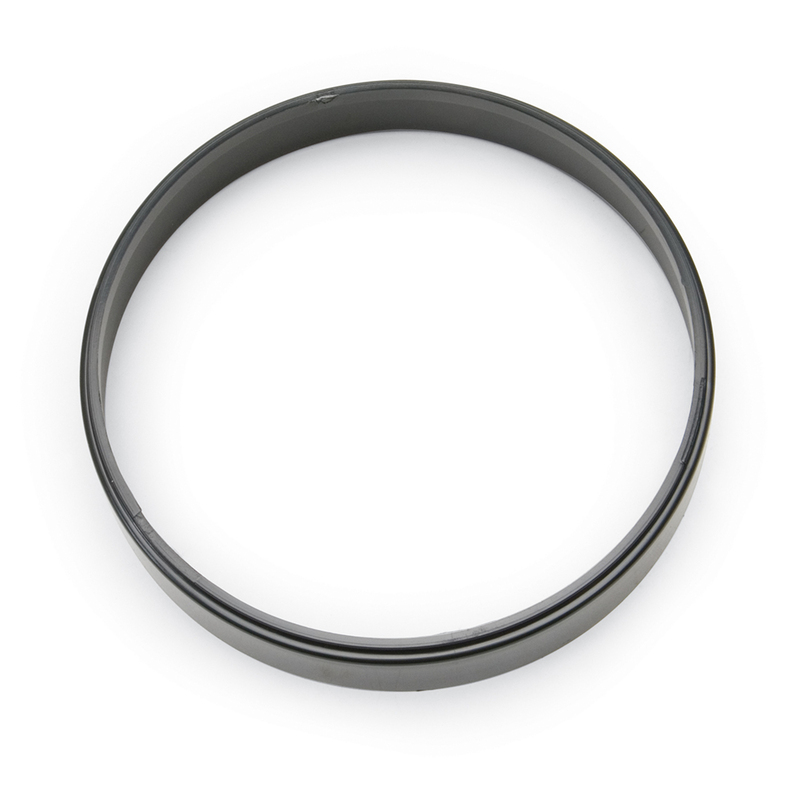 Comes with highquality 3" pre-oiled and washable filter for excellent filtration. NOTE: #41663 is stock height and requires spacer #8092 with electric choke carbs or banjo fitting #8089 with manual choke carbs.